Jack Carty failed in love, and he will tell you the truth about that, but it seems to be working for him. At just 25 years of age he has released two critically acclaimed albums and one E.P. Made “Album of the Year” lists for both 2011’s “One Thousand Origami Birds” and 2012’s “Break Your Own Heart”. 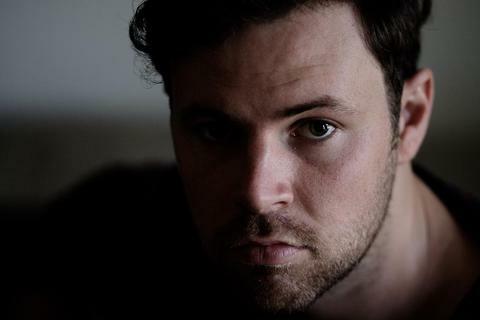 Toured with the likes of Josh Pyke, Matt Corby, Katie Noonan, Husky, Ingrid Michaelson, Brett Dennen and Joshua Radin both nationally and on foreign shores, taking in festivals from Woodford, Peats Ridge, Nannup, Mullumbimby Music and Playground Weekender to Canadian Music Week along the way. And even picked up a MusicOZ award whilst having songs used in TV shows from Covert Affairs to Packed To The Rafters. A little honesty goes a long way. “When I think of the year 2011 in the future I am sure I will overwhelmingly remember airports, highways, train stations and other people’s couches as we toured the first album. Break Your Own Heart is about that. Not the travel necessarily, but about giving up a lot in one area of your life in order to try and achieve your goals in another. I think that is a crossroads most people come to at some point along the way”, Carty explains. Since its release things have only gotten busier with Break Your Own Heart reaching #8 on the iTunes Australia Singer-Songwriter Chart and #15 on the Australian Independent Records chart, spawning an ever-growing, constant stream of headline shows all over Australia, whilst earning 4 star reviews from the likes of The Sydney Morning Herald & The Weekend Australian. A little honesty goes a long way.